Shannon thank you for sharing your faith. Your posts are such a blessing to read. Keep the faith. Your beautiful book will be published one day. I look forward to purchasing it one day. Thank you for being so faithful to my art. Please go to the contact page on http://www.sue@sueshanahan.com and send me the address you would like the signed print sent to. I am so happy that my post has inspired you! Our talents are gifts to be shared (when we can get out of our own way.) Please go to the contact page on http://www.sue@sueshanahan.com and send me the address you would like the signed print sent to. I love reading your blogs Sue! They are all so inspiring! Hugs! So happy you like them. It makes my day! 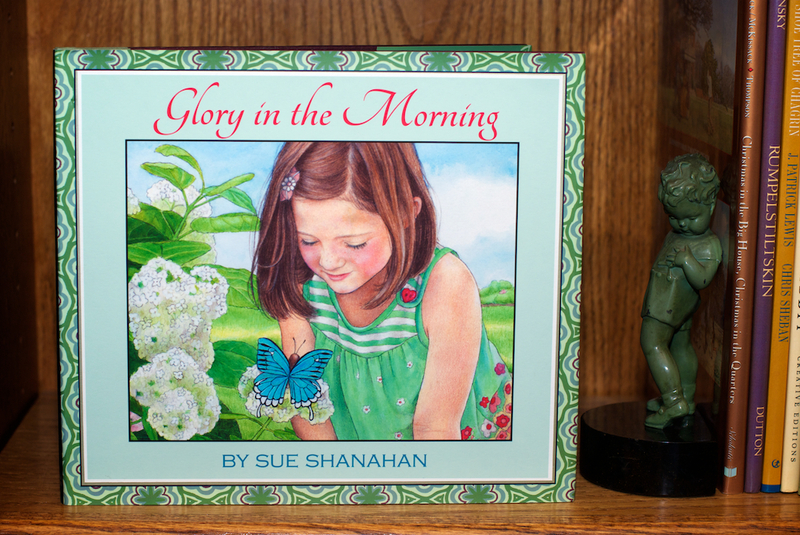 Please go to the contact page on http://www.sue@sueshanahan.com and send me the address you would like the signed print sent to. You are such an inspiration, Sue! I love reading these! Thanks, doll. Glad to be a little sunshine in your cup. Please go to the contact page on http://www.sue@sueshanahan.com and send me the address you would like the signed print sent to. Thanks, Amy. You’re encouragement is part of the reason I am writing them. 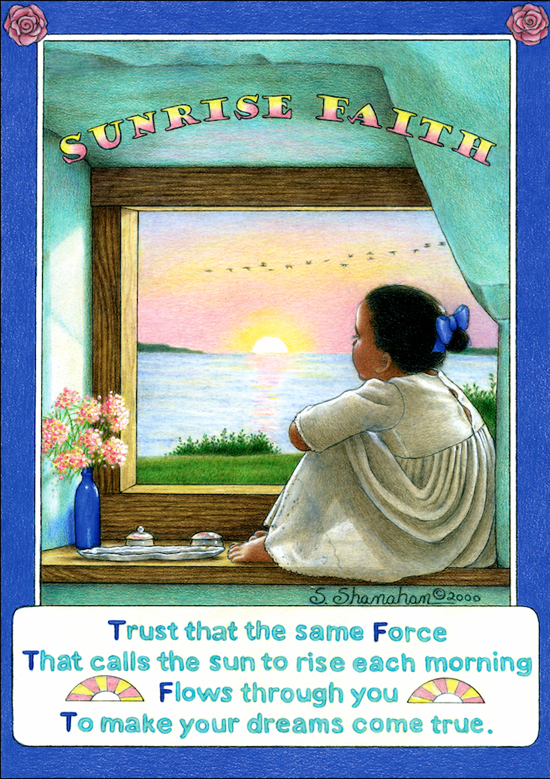 I love the phrase, “sunrise faith”, Sue. What a beautiful way to express the trust we must have to follow God’s path for us. The journey can be exciting if we keep that “sunrise faith”. Your work is amazing..I’m so glad my cousin (Pam Costa) introduced me to it! You are so talented! Thanks for the compliments. I am glad Pam introduced you too! She is a gift in my world on so many levels. Thanks for reading it Jessica. You are a gifted artist in your own right. U love your blog posts! They always speak to me and help me put life in perspective. I am confident you will realize your dream Sue. You are such a special person filled with talent! Thanks, Jeri. Putting my heart out there is scary but has been met with such open arms. I’m not a baseball Fan but I really enjoyed the movie “Field of Dreams”. I think that is what you are saying here. However, sharing your gifts take courage and “excuses” that stop us from starting are safe. Thank you for being courageous because now we can bask in the beauty of your illustrations. You are so nice. “Field of Dreams” is a perfect analogy to what I was trying to say in my post. Since seeing that movie the words “if you build it they will come” often play in my head. I am going to use them the next time I get stuck when beginning an illustration. I have no recollection of any of the people you mentioned or the town of Sterling. Are you sure you have the right person?